The following photos show interactions among animals of different species. 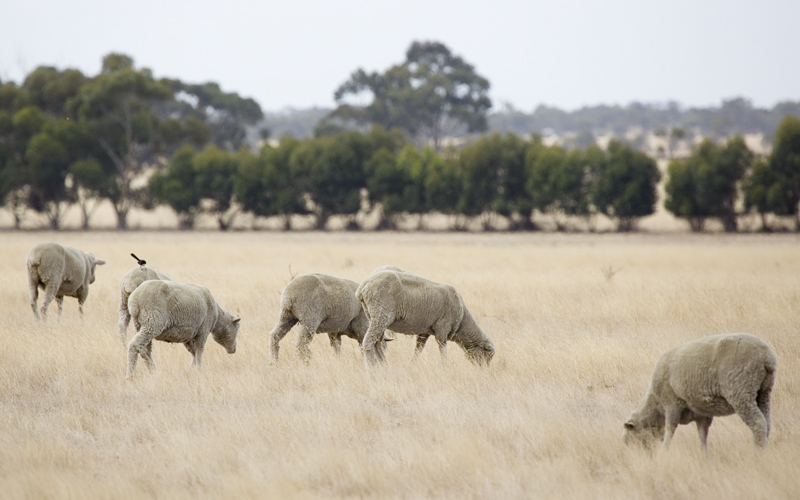 Willie Wagtail riding on a sheep's back, not taking wool, but being transported from food source to food source. Easy life. Photo taken from the You Yangs Regional Park looking east to the adjacent farmland, 1 March 2014. 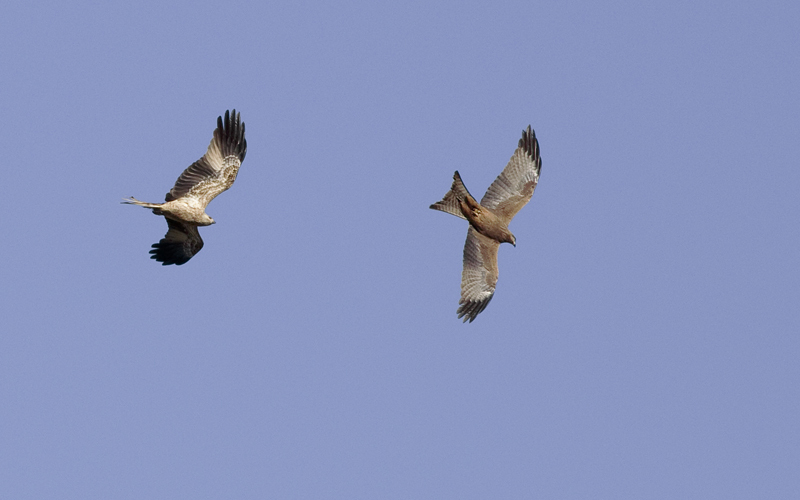 Whistling Kite chasing a Black Kite, Pinkerton Forest, west of Melbourne, 19 May 2013. 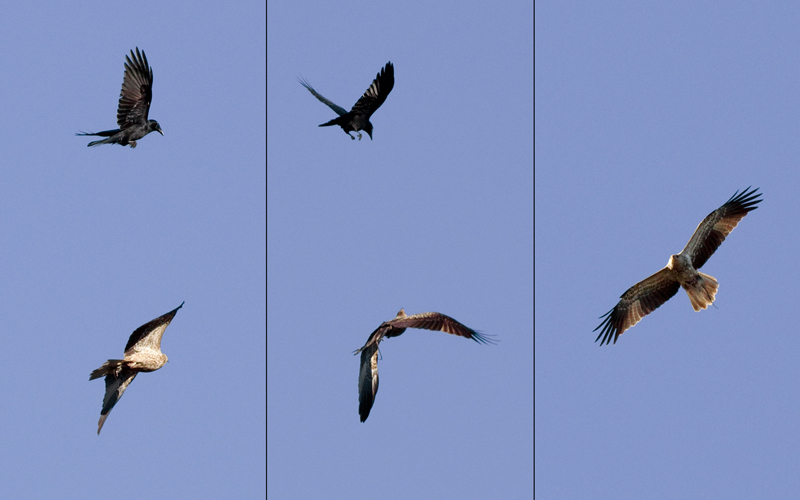 Also at Pinkerton on 19 May 2013, a Little Raven flew over a Whistling Kite, which had prey in its talons. The Whistling Kite looked up at the Raven, then managed to evade it and fly away, still holding the prey item.